The University of Caterbury Students’ Association (UCSA) in Christchurch, New Zealand, is a not-for-profit charity developed to support students. 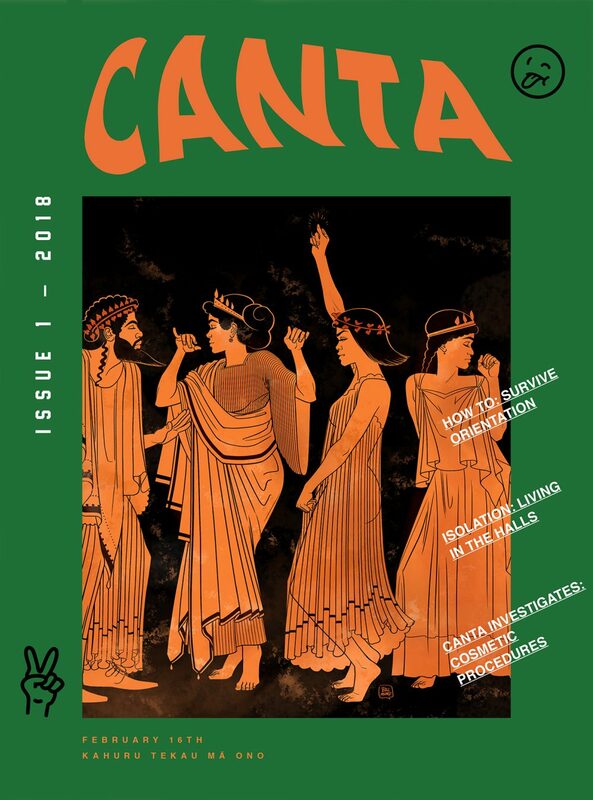 They have just launched ‘Canta’, a student magazine and asked us to produce a cover illustration for the debut issue. We brought together two main themes; University (and the idea of learning/knowledge) and partying, to nod to Orientation Week (Freshers Week to us Brits). Philosophy is considered to have developed as a form of rational inquiry in the cities of Ancient Greece. This lead to the design encompassing Ancient Greek design, with all the characters partying, as students do!